The Pierre & Vacances Le Pic de Chabrières Resience is at the end of Vars les Claux. Located 100m from the Centre 'Le Point Show', 500m from the resort centre and 100m from shops. 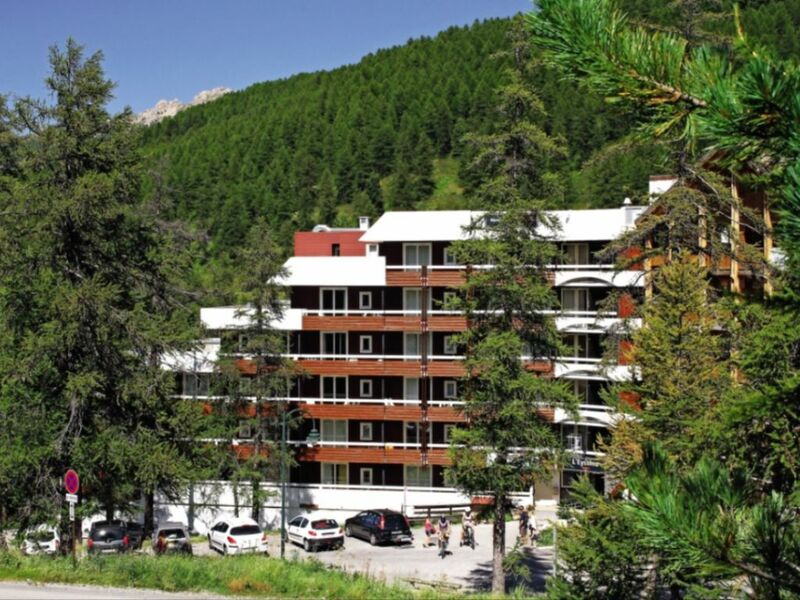 The residence offers comfortable self catering ski apartments with balconies and deckchairs. A number of activities are available both in the residence and local area such as: 'La Forêt Blanche' ski domain offers skiing for all as well as 35km of hiking trails. For relaxation: massage, sauna, hammam. Après ski activities: cinema, ice rink, well-being. Children's clubs and kindergarden, in partnership with the ESF. A family ski resort in a protected environment. A residence at the foot of the slopes. Living room with 1 single sofa bed + 1 pull-out bed (sleeps 2). Sleeping alcove with a bunk bed. Please note: the sleeping arrangements on the upper level are unsuitable for children under the age of 6. Decree No. 95949 dated 25/08/1995. In the Southern Alps, Vars is at 1850m. The Vars ski resort combines the authenticity and charm of traditional Alpine villages with the comfort of a large winter sports resort. 180km of varied pistes suitable for all abilities from beginner to advanced. Vars offers a preserved environment.